It is the fasting month for Muslims all over the world. The breaking of fast is called 'Berbuka Puasa' in Malay. 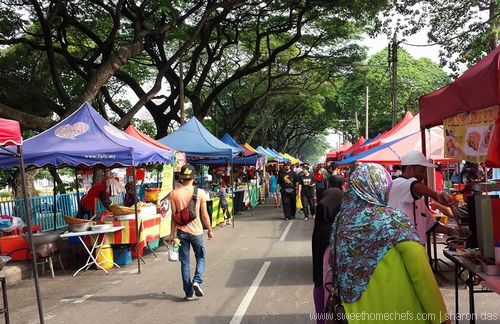 In Malaysia, Ramadhan Bazaars or PARAM (Pasar Ramadan) as we call it for short, begins at 4PM daily around many locations all over the country. This goes on for a month until Hari Raya (Celebration Day) marking the conclusion of fasting days. Ramadhan Bazaars are a food haven for those keen to try local food creations and more traditional eats. One of my favourite bazaars is the one located along Jalan Kuching. Roaring with smoke from grills and huge pots of boiling soup, the place is lively with folks taking their time to scour stalls for food to buka puasa and then there's us, the makan (eating) enthusiasts joining the fun. "Haaa...mari, mari! " Come, come, the food vendors call out to us to visit their stall. One of the more exciting finds at the bazaar. It's basically a pancake of Maggi instant noodles cooked with meat, vegetables and egg. The recipe can be found here at Maggi's website in case you're keen to try it out. 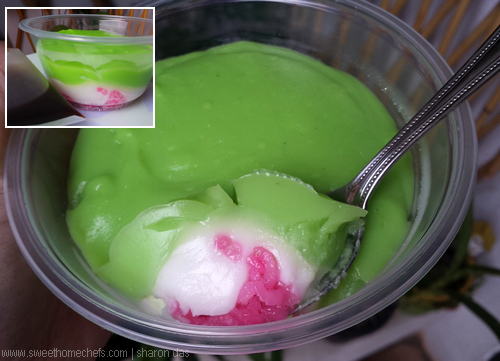 The green layer is made from rice flour and pandan extract, the white layer from coconut milk and the red/pink layer consists of lightly salted sticky rice. A bit of food colouring is used. The whole combination is plain tasting - the flavour comes from the sweet syrup of gula melaka (palm sugar) which is poured over just before serving. This is a a long piece of bread (soft French loaf) filled with an omelette of minced meat and onions. There are many variations to the filling - Generally, it is onions and minced meat sauteed on a flat pan. Beaten egg is then poured over and a slice of cut open bread is slapped on top. Once cooked, the omelette would have stuck onto the bread. This is flipped over and followed by a drizzle of chilli sauce or mayonaise. There's a funny tale as to how this bread masterpiece got its name. 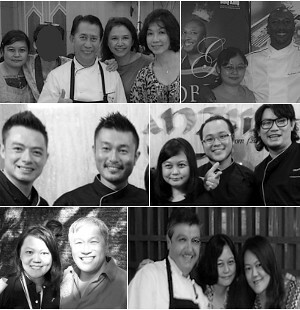 It seems that in the 1960s, an Englishman named John asked a Malay hawker if he sold hamburgers. He didn't of course but with a bit of ingenuity, he created this and it was coined Roti John (John's Bread). 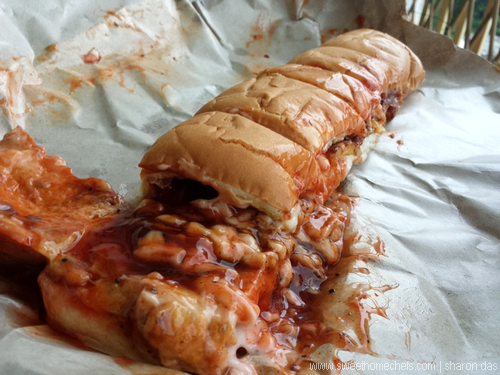 More about Roti John here. 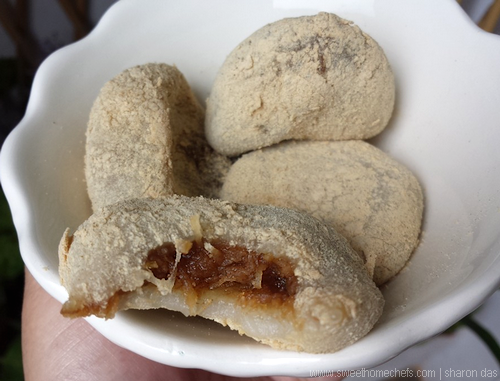 This kuih (sweetmeat), popular in Kelantan and Trengganu, is a sticky cake that is made from glutinous rice flour and filled with grated fresh coconut mixed with brown sugar or gula melaka (palm sugar). The outer layer is usually coated with ground roasted mung beans. Fried Popiah (spring rolls) - a deep fried vegetable wrap that is rolled in chilli sauce with crushed peanuts sprinkled over. Kuih Bakar - a baked custard-like cake. Bubur Kacang Hijau - sweet mung bean dessert in coconut milk. Bubur Lambuk - a savoury porridge of meat, coconut, herbs and spices. 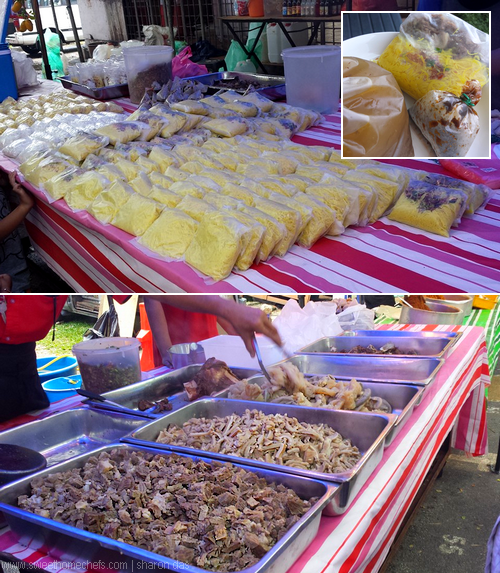 Besides cakes, snacks and meat barbecues, one can also find an array of rice and noodle dishes. This beef noodles soup seller is a regular at Jalan Kuching's Ramadhan Bazaar. The Soto Daging comes with a packet of yellow rice vermicelli with cooked beef, spicy soy sauce chilli and beef soup. Drink stalls like the below are a common sight. The varieties are interesting ranging from blue lemon, calamondin lime with preserved plums, yam, dried longan and grass jelly. That ends my walk at Jalan Kuching's Ramadhan Bazaar. I bought more than I needed, promptly sharing it away with friends. 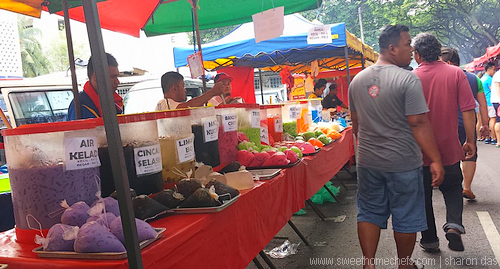 For more on local kuihs, click here to read our 2014 blog post on Ramadhan Bazaars. 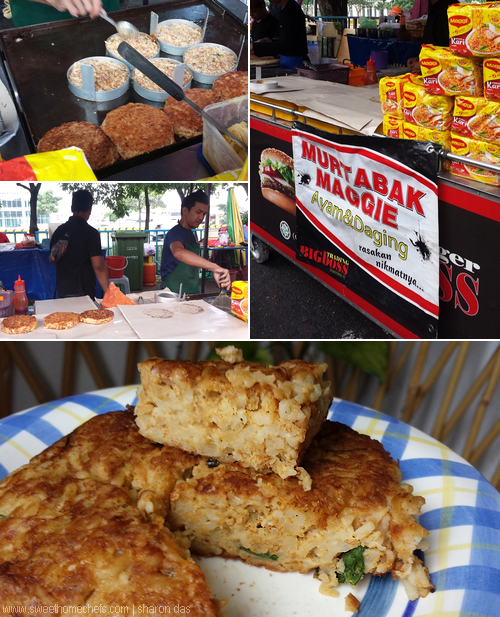 I miss going to all these Ramadan food bazaar. This one looks really good with this huge spread of yummy food. This was indeed one of the better ones this year, Zoe. I thoroughly enjoyed coming here. Love the colourful food post! Have an awesome week, dear! Wow so many different food...and some I have never seen it...indeed a fun event. 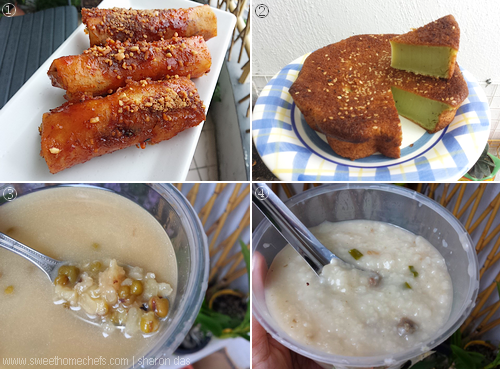 Love the Kuih and the story behind it. I love visit markets like this, always so much fun! Oh yes, it's like a huge playground for me! I know you're busy with your studies, Emily. Wishing you all the best!